First off, I want to express how truly sorry I am. 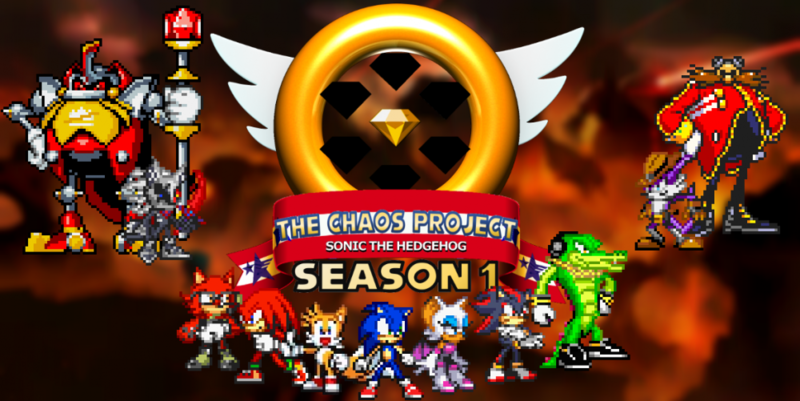 I was scheduled to publish the next episode of The Chaos Project 6 days ago, and I missed it without a word. I was fully intending to until that very day, but something unexpected came up, and I’ve been completely unable to work on anything Chaos Project related ever since. I intend to publish it tomorrow instead, after which I’ll be taking a brief holiday break from publishing. I’m still stuck on this one episode, ad I’m up to over two months spent working on it. The other reason I came here has to do with an interesting contradiction that just came up against my story. As you may know, the Sonic pack for the Lego Dimensions game was recently released, which, surprisingly enough, actually has enough of its own story to mess with the current canon. But I find it quite unusual how this contradiction occurred. In the game, the three classic models of Metal Sonic serve as boss fights, those being Metal Sonic classic from Sonic CD, Mecha Sonic from Sonic 3 & Knuckles… … …and Robo Sonic. The Sonic doppleganger from Sonic 2 (the handheld one), which I and the rest of the Sonic community have always known as “Silver Sonic” is referred to as “Robo Sonic” instead. See the problem? In The Chaos Project, I applied the name “Robo Sonic” to the unnamed Sonic robot seen in a pod in Sonic Adventure (called Silver Sonic v2.0 in the comics, further proof that there is supposed to be a Silver Sonic 1). Now, let’s be honest. Lego Dimensions isn’t exactly canon to the Sonic universe, or else Shadow would be a florist, among other canon-breaking jokes. That being said, this is technically the first time that this robot has been named within a video game, otherwise only existing in official statements and instruction booklets and whatnot, which are all technically non-canon as well. So for now, here’s how it is. Sonic News Network, one of my primary sources for research for my story, has not renamed Silver Sonic to Robo Sonic on the Mecha Sonic page, but instead included it as a trivia footnote that the robot has a different name in Lego Dimensions. Unless something more definitive happens to suggest that this new name is canon, I will treat it the same way, and S0 E4 will not be retconned to have the real Robo Sonic switch names with Silver Sonic (If you ask me, there’s not much Silver about that one. Looking at you, comics). If any such definitive evidence comes, I expect to apply the retcon that what I called Robo Sonic was actually Robo Sonic II or v2.0 or whatever (making my story line up better with the comics, ironically enough). But, once again, I don’t expect that to happen any time in the near future. That’s all I have for now, so see you tomorrow. This entry was posted in Meta and tagged Archie/IDW Comics, Lego Sonic (Dimensions), Metal Sonic Group, Shadow the Hedgehog, Sonic Adventure, Sonic Game Gear Series, Sonic News Network, Speed of Time Arc by Chaos Project. Bookmark the permalink.